Here is a top 5 list of the best emotional movies between 2000-2010. The movies are ranked off how emotional they are and how involved the viewer feels and is affected by the characters in the movie, along with how entertaining the movie also is. For more movie reviews visit IMDB.com. 1) The Pursuit of Happyness- This movie stars Will Smith along with his own son, Jaden Smith, who plays Will Smiths’ character’s son in the movie. The movie is based on a true story of one man’s life starting with his wife leaving him because of money troubles; all the way to his rise as a top stock broker for the company Dean Witter. The movie gets its emotional appeal by following Chris Gardner (Will Smith) and his son through their different homes from motels to the streets, while being completely broke. The viewer is brought into the movie by the great acting of Will Smith being the ultimate dad and still providing for and protecting his son during their unfortunate stint on the streets of New York. 2) Hard Ball- This baseball heavy movie centers around an in debt gambler in Keanu Reeves who must coach a youth baseball team filled with black boys who must live below the poverty line. The boys on the team all live in dangerous neighborhoods and must face gangs and guns everyday. More than once in the movie is a member of the team assaulted or killed by gang violence. Watching this movie the viewer learns to love Reeves’ character despite all the wrong and selfish moves he makes because in the end he shows his true emotions and helps the boy’s on his team succeed at the game of life. 3) Seven Pounds- This movie also stars Will Smith, who years earlier causes a late night car crash which kills 7 people total including his fiance. To make up for his mistake and sadness Smith goes about trying to enrich the lives of 7 random people. He does this through bodily transplants to the people he sets out to help. To gain even more emotional appeal to the viewer Smith ends up falling for one of the woman he tries helping. The love effect along with Smith giving up his own body and health to save other is what makes this movie so great and very emotional. 4) Remember the Titans- This very popular movie takes place in the early 1970’s and stars Denzel Washington as the head football coach of a southern high school which has recently become biracial. This movie shows the problems both on and off the football field caused by racial tensions back in the 70’s. While it shows the success of Washington’s methods on the football field to bring together the black and white players, the community still struggles from racism and this movie puts all viewers on the front line of what life was like for black’s back in the day’s of racism and social inequality between whites and blacks. 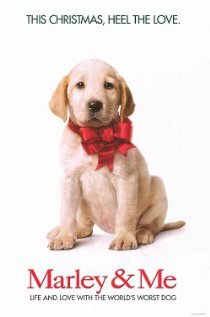 5) Marley & Me- When there is a movie starring Jennifer Aniston the guys go flocking to see it, when you include a cute troublesome dog the woman are also drawn into the movie. Marley & Me contains both Aniston and a cute lovable but troublesome dog. This movie takes after the book and doesn’t disappoint. Owen Wilson and Aniston are a married couple who are trying to start a family while also raising a dog, both are journalists in the Florida area where Wilson writes a weekly column about the troubles his dog Marley gets into both by destroying his house and at the public beaches. The emotion in this movie starts out as happy while including many funny parts, but turns more serious and sad as the family moves north and Marley ages while their 3 kids worry about their loved dog.